One of the lesser known sports that Andaman offers is game fishing. To be one of the very few relatively invalid islands, Andaman offers an exhaustive range of life. Tropical rain forests abound in rare and endemic species of flora and fauna, without commercial fishing high, the reefs are almost untouched, allowing the fish to grow to enormous sizes. Andaman Island is a very good destination for game fishing, here you will find many fishing spots like Ruth Land, Cinque Island, the islands come around Havelock is an ideal place for game fishing. The concept of game fishing is capture and release. The tropical islands here with rainforest, mangrove and deep drop offs are an ideal place for any kind of saltwater fishing. The area, located outside the coast of Neil Island, Havelock Island, Richie’s Archipelago and Long Island, gives the fishing enthusiastic with big catches. You can see the number of organizations in Port Blair, offering all types of fishing gear and boats. Andaman would like to offer you sports fishing in Andaman Island at very affordable prices. Monster Fishing and Surmai Fishing Club offer sport fishing from Havelock and Port Blair. Big boats and small boats are available for game fishing. The boat rates are according to the number of days you take it on rent. Andaman Game Fishing is a premium game fishing charter company that operates fishing trips in Andaman and Nicobar Islands in India. Game Fishing in Andaman organizes boat tours in the calm and clean waters around Port Blair. 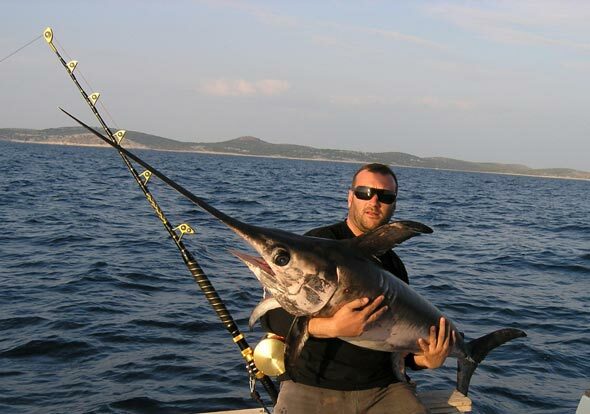 It also offers sports fishing, deep sea fishing, game fishing and custom-made fishing trips. Organizers send efficient and trained staff to the groups during fishing trips to ensure the best catch. These tropical islands with rain forest, mangrove and deep drop offs are an ideal place for any kind of saltwater fishing.